Randy L. New is the Managing Member of Kitchens New Cleghorn LLC in Atlanta, Georgia. A significant focus of his practice has been in the areas of Corporate and Business Issues, Employment Law, Contracts and Telecommunications. Randy is also an Adjunct Professor at Emory Law. Randy is an Atlanta native. He received a B.A. from Emory University in 1976. After teaching high school in Atlanta for three years, he attended Emory Law School, was named as Articles Editor of the Emory Law Journal, and graduated with a J.D. with Distinction in 1982. Randy continues his relationship with Emory Law School, serving as Adjunct Professor, facilitating coursework such as “Doing Deals – Corporate Practice Workshop.” He is also on the Emory University School of Law Advisory Committee as well as serving on the Board of Visitors. After graduation, Randy joined the firm of Lamon, Elrod & Harkleroad where he focused on tax and corporate transactions. He then worked at BellSouth Corporation, rising to the position of Vice President of Public Policy where he reported to the Vice Chairman of the company. His experience at BellSouth as both an executive and a lawyer was wide-ranging, including work in mergers and acquisitions, tax and employee benefits law, corporate law, the customer premises equipment business, government contracting, equipment leasing, and federal and state regulatory issues. Randy New and Joyce Kitchens formed the firm of Kitchens New LLC in 2001, having been classmates at Emory Law School and life-long friends. They added Jeff Cleghorn as an equity partner in 2007. Randy now represents a broad array of individuals and corporations on business issues. One of Mr. New’s continuing interests is the representation of the small and start-up business owner as their personal “general counsel.” In addition, Randy has represented and continues to represent some of the nation’s largest companies. He likes the challenge of this varied portfolio and thinks that its range increases his effectiveness for all his clients. In addition to his professional commitments, Randy is active in the civic life of Atlanta, having served on the boards of directors of several non-profit entities and sponsoring community based projects ranging from politics to the arts. 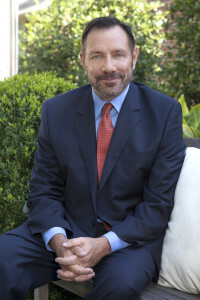 Randy has been selected by his peers as one of Georgia Trend’s 2010 Legal Elite.